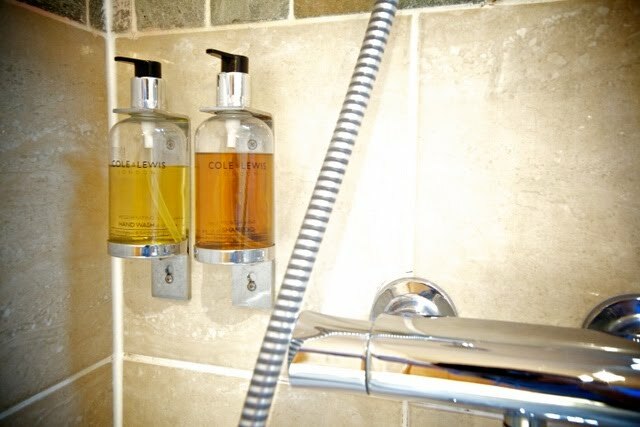 The Stable Block offers unrivalled comfort for couples seeking a luxurious getaway in the heart of beautiful Somerset. 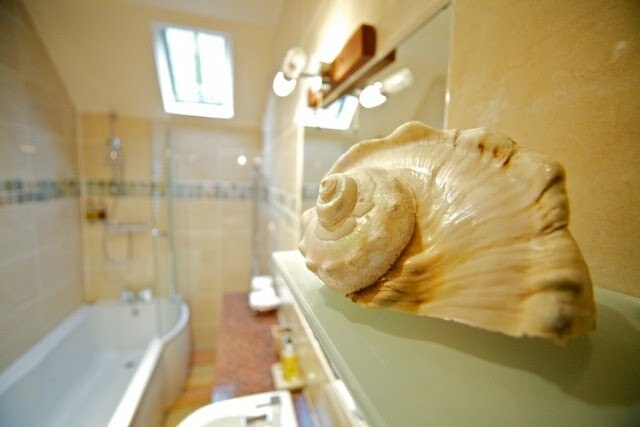 This cottage boasts a fabulous bedroom from where you can lie on the top quality leather double bed and admire the picture postcard views across the bay. And for those who love watching their favourite programmes in bed, there is a television cunningly hidden in the end of the bed that rises up at the push of a button. 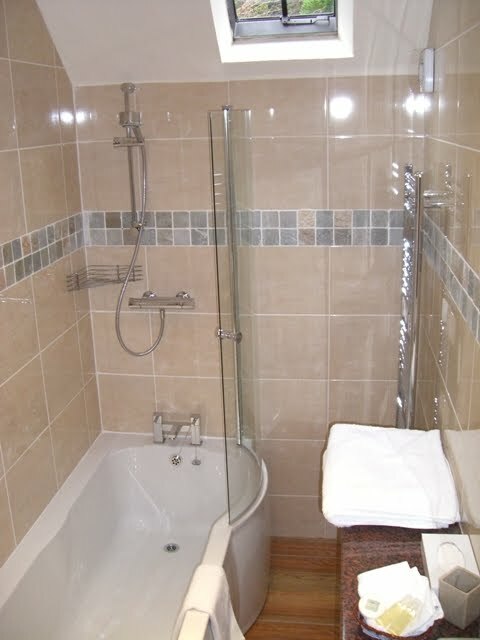 A large modern bathroom is located adjacent to the bedroom and features a bath with integral shower and a stainless steel heated towel rail. 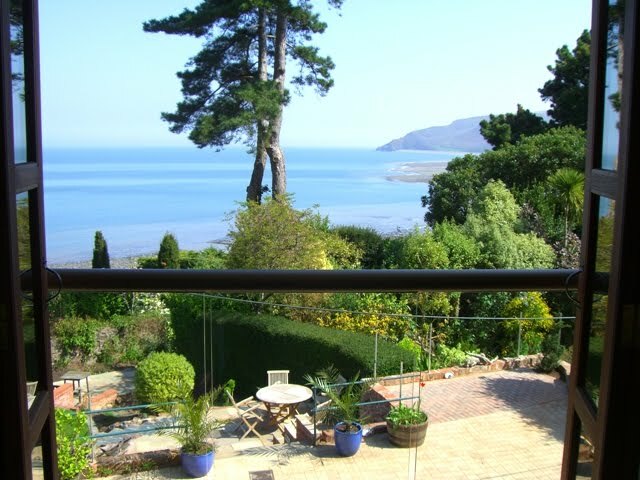 In the summer, the bedroom double doors can be opened inwards for fresh air and glorious views across the terrace, garden, and Porlock Bay. 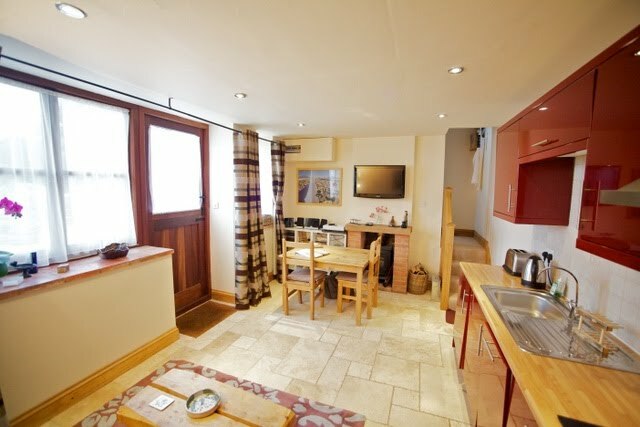 Downstairs you will find the comfortable open plan living space and kitchen area. 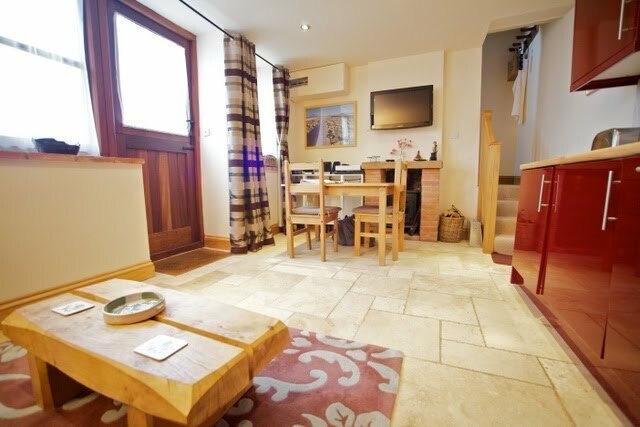 The accommodation features every modern convenience to make your stay as comfortable as possible, including a large plasma screen television in the living area and a wood burner for cosy evenings. 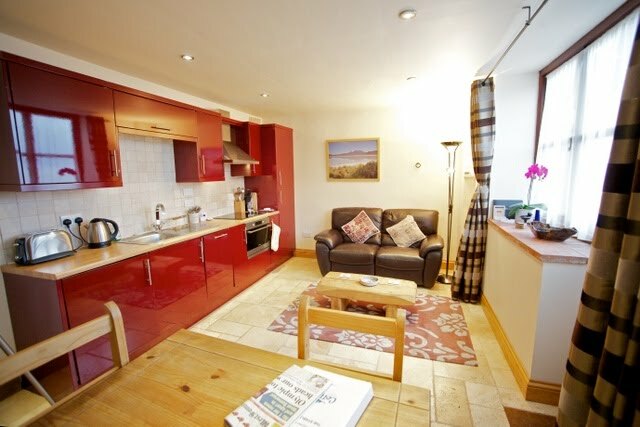 There is also a dining table for meals, although you may choose take advantage of the views and eat outdoors during the summer months. 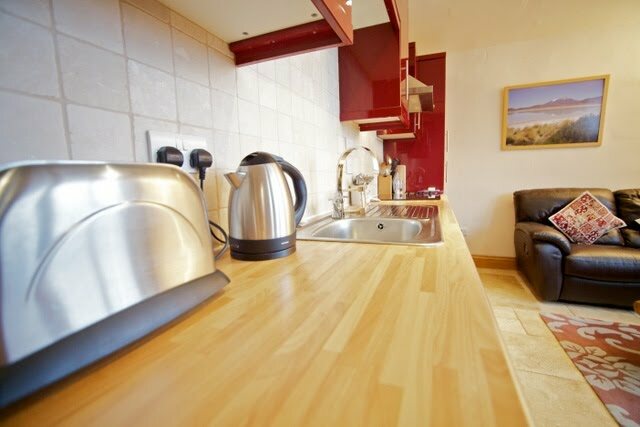 The compact kitchen area is fully fitted out with modern units and all appliances. 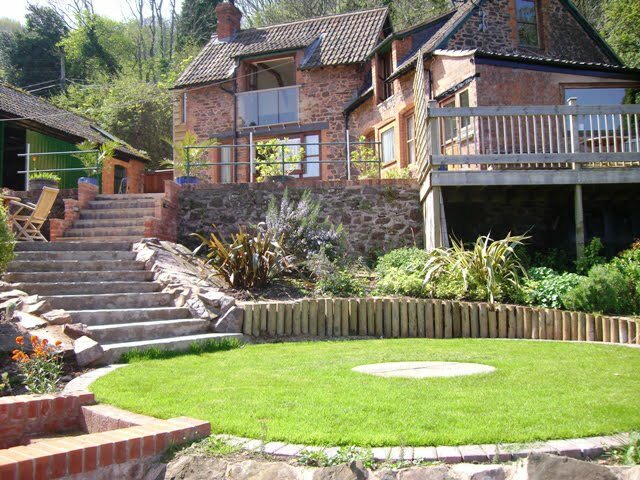 Outdoors there is a beautifully landscaped garden accessed by steps from the terrace, this offers the perfect place to unwind with a cool drink and a good book in the summer.